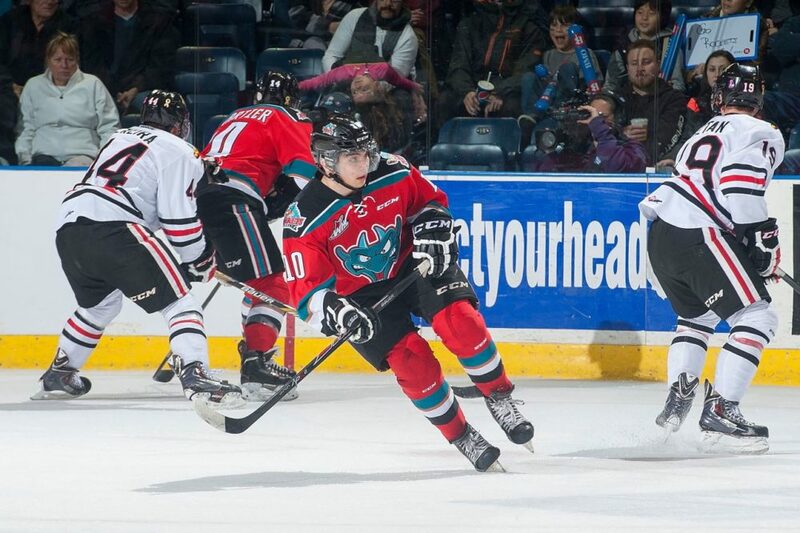 The Arizona Coyotes have selected Nick Merkley with the 30th overall pick in the 2015 NHL Entry Draft. Well, it was a longer wait that expected, but Merkley finally got his name called as the last player drafted in the first round. Expected to be drafted in the 10-20 range, his size might have scared off other NHL teams. That’s a complete shame if its true. He had 20 goals and 90 points for the Kelowna Rockets in the regular season. He also had 27 points in 19 playoff games. He was also a big part of the Rockets run to the Memorial Cup final. Merkley is another great addition to the Coyotes prospect core and should be make the team sooner rather than later, possibly the 2016-17 season. No matter how bad the team is now. Adding Merkley to Max Domi, Anthony Duclair, Christian Dvorak and the third overall pick, Dylan Strome makes for a pretty good offensive core for the Coyotes. They have the 32nd and 60th picks in the second round as well as the 63rd and 81st pick in the third. They have the 123rd pick in the fifth and the 183rd pick in the seventh. Make sure to keep an eye on THW’s NHL Live Draft Tracker and Deal Tracker for up to the minute info on the Draft, trades and signings going down.